Stuttgart. Presenting a high-performance mid-engined concept sports car with ultraefficient, low-emission drive technology, Dr. Ing. 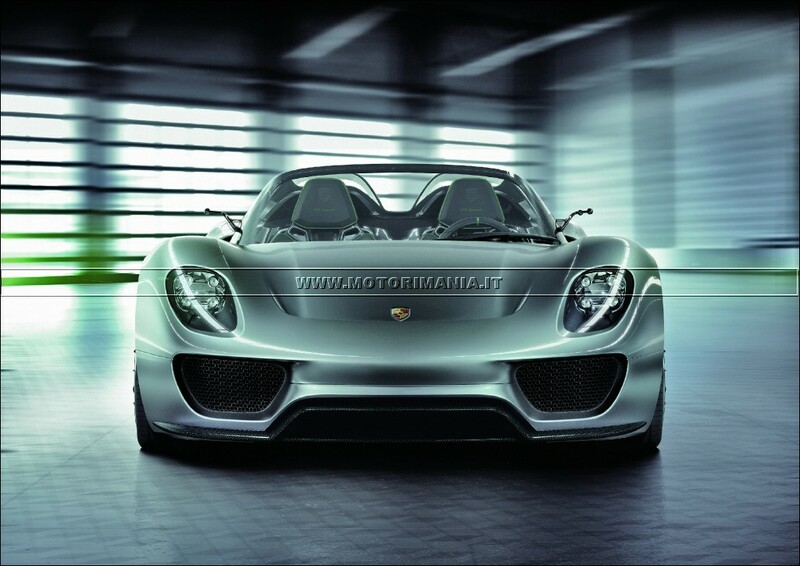 h.c. F. Porsche AG, Stuttgart, is further increasing the Company’s competence in hybrid technology. 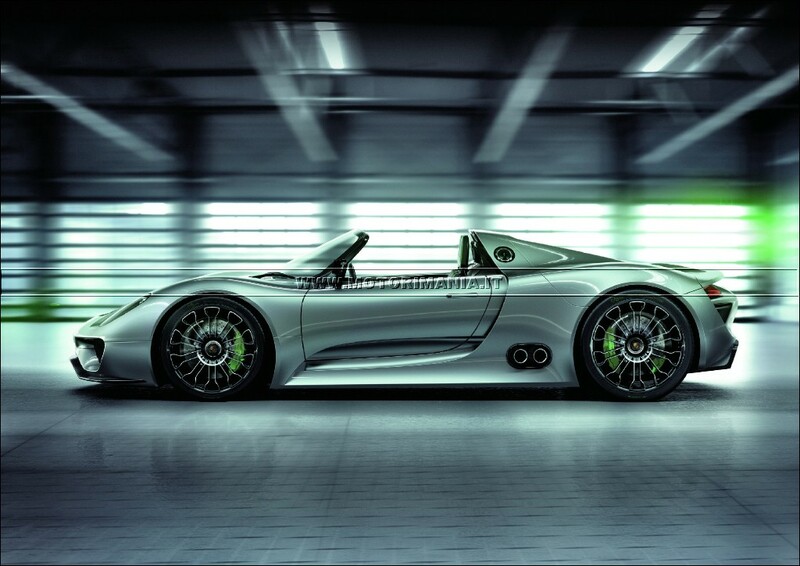 The 918 Spyder is one of three Porsche models with hybrid drive making their world debut at the 2010 Geneva Motor Show. This trio – made up of Porsche’s new Cayenne S Hybrid SUV with parallel full-hybrid drive, the 911 GT3 R Hybrid racing car with electric drive on the front axle and a flywheel mass battery, and the two-seater high-performance 918 Spyder mid-engined sports car with plug-in hybrid – clearly demonstrates not only the great bandwidth of this new drive technology, but also the innovative power of Porsche as a genuine pioneer in hybrid drive. 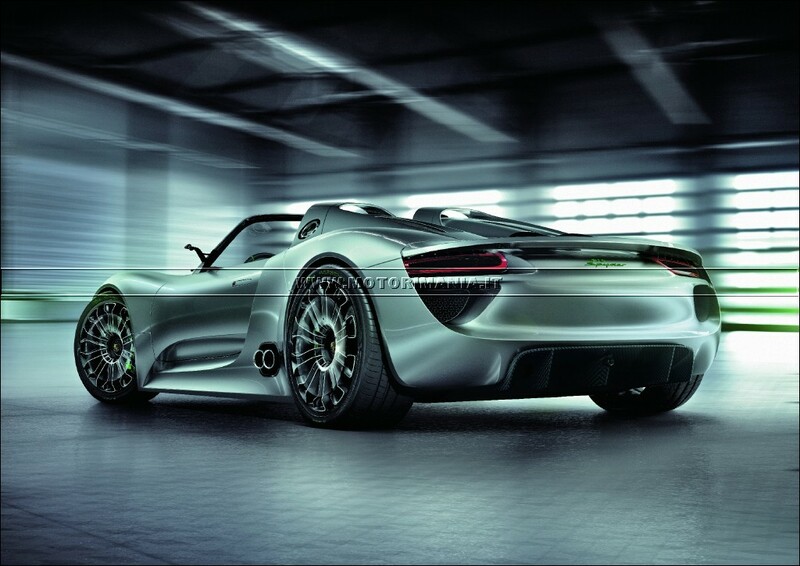 The Porsche 918 Spyder with plug-in hybrid provides the performance of a thoroughbred super sports car on fuel consumption of just three litres/100 kilometres in the New European Driving Cycle, equal to a CO2 emission rating of 70 g/km. This open two-seater is powered by a high-speed V8 developing more than 500 bhp and running at maximum speed engine of 9,200 rpm as well as electric motors on the front and rear axle with overall mechanical output of 218 bhp (160 kW). The V8 combustion engine is a further development of the highly successful 3.4-litre power unit already featured in the RS Spyder racing car and positioned midship in front of the rear axle, giving the car the right set-up for supreme performance on the race track through its good balance. 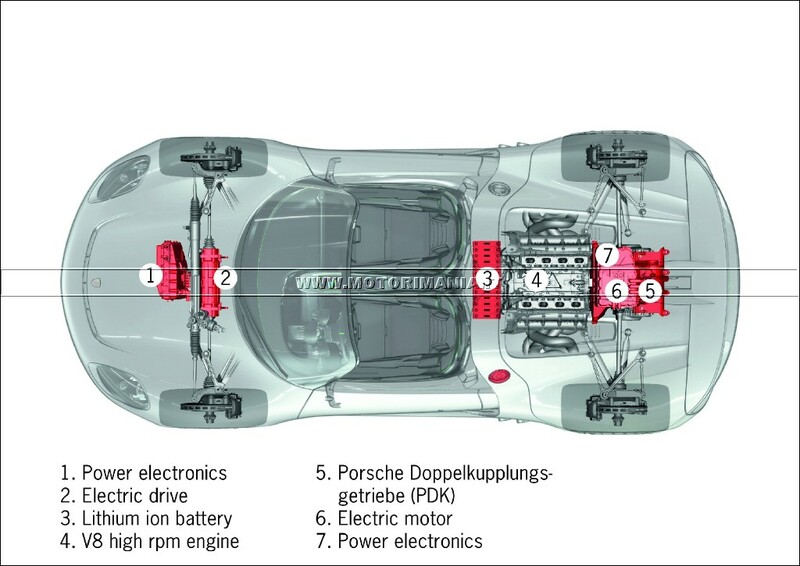 Power is transmitted to the wheels by a seven-speed Porsche-Doppelkupplungsgetriebe also feeding the power of the electric drive system to the rear axle. The front-wheel electric drive powers the wheels through a firm transmission ratio. The energy reservoir is a fluid-cooled lithium-ion battery positioned behind the passenger cell. The big advantage of a plug-in hybrid is that the battery can be charged on the regular electrical network. A further point is that the car’s kinetic energy is converted into electrical energy fed into the battery when applying the brakes, thus providing additional energy for fast and dynamic acceleration. A button on the steering wheel allows the driver to choose among four different running modes: The E-Drive mode is for running the car under electric power alone, with a range of up to 25 km or 16 miles. 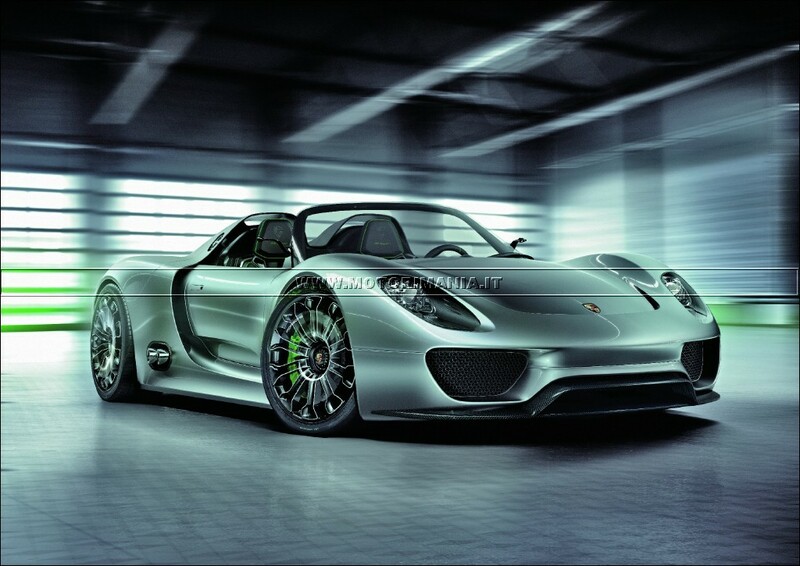 In the Hybrid mode the 918 Spyder uses both the electric motors and the combustion engine as a function of driving conditions and requirements, offering a range from particularly fuel-efficient all the way to extrapowerful. The Sport Hybrid mode uses both drive systems, but with the focus on performance. Most of the drive power goes to the rear wheels, with Torque Vectoring serving to additionally improve the car’s driving dynamics. The centre console rising up towards the front in the 918 Spyder houses a touchsensitive surface for intuitive control of the car’s functions, serving consistently to reduce the number of visible controls and maintain the principle of direct operation. The control units relevant to the driver are concentrated in particular on the threespoke multifunction sports steering wheel, while the variable driving modes, again so typical of Porsche, are supplemented by a map switch enabling the driver to call up various drive programs and serving as the push-to-pass button for E-boosting, for example when overtaking. Instrument illumination, finally, varies from green for the consumption-oriented running modes to red for the performance-oriented driving programs.